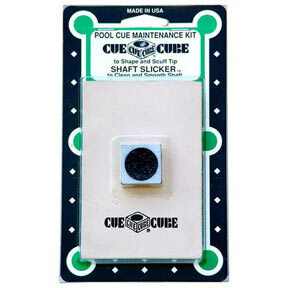 This Cue Cube Maintenance Kit comes with the Cue Cube Shaft Slicker and the Cue Cube Scuffer. These products will provide you with an ultra smooth shaft and precise tip shaping control. Shape and scuff your tip with a 1" square of aluminum with embedded carbide. 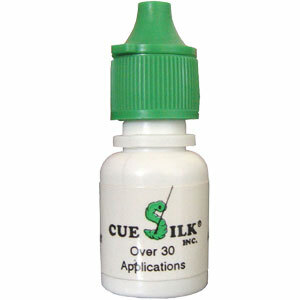 One side shapes your cue tip to a perfect radius while the other scuffs the tip for optimum chalk retention. The shaft slicker is used to burnish your shaft, giving it a polished look and feel and enabling it to slide smoothly through your fingers.